Is ZTE Working On A Paper-Thin Full-Screen Phone? ZTE is known to release innovative smartphones, and it appears the company wants to continue that trend. The Chinese company filed a patent for a full-screen smartphone that appears to be paper-thin. In 2017, ZTE released the Axon M, a foldable phone with two screens. Recently it showed off the Axon V, which is also a full-screen phone, but with a notch on the side. 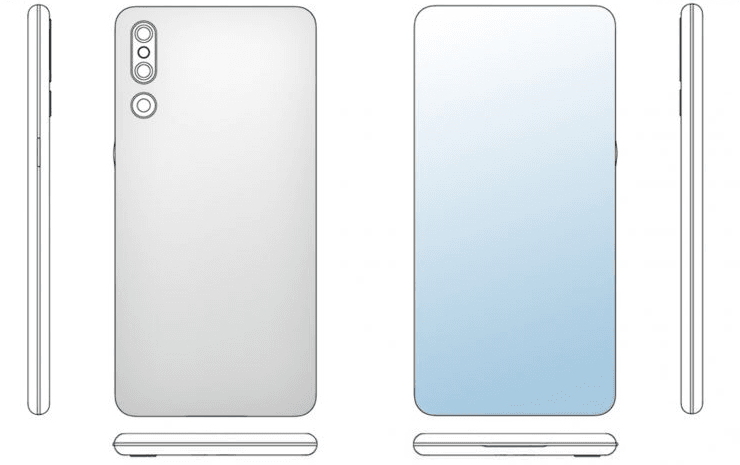 ZTE also displayed a concept phone called the ZTE Iceberg, which features two notches, one on the top and the other at the bottom of the display. Now it seems the Chinese company is working on a more innovative designs. 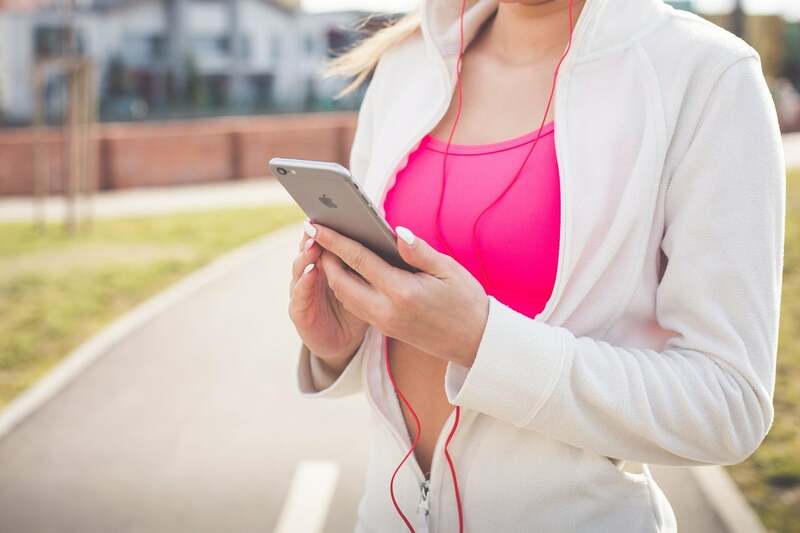 It filed two patents with the World Intellectual Property Office (WIPO) last year, and they were published last week and spotted by LetsGoDigital. The first patent details ZTE’s paper-thin phone, which has a full screen on the front. According to the patent sketches and renderings by LetsGoDigital based on those patents, the phone features a triple-lens camera system with a flash on the rear. The lenses are positioned vertically, and there appears to be a physical button on the right side of the phone. ZTE’s paper-thin phone appears very similar to the ZTE Axon V, which was showcased last month. The Axon V had a full-screen display and a vertically-positioned camera with a flash. However, the phone in the recent patent has one more camera lens on the rear, and it doesn’t have a notch. It will be interesting to see where ZTE will place the selfie camera if it adopts the patented design. If there is nothing on the screen, then chances are it could be a pop-up camera or some slider mechanism. The patent images also do not show any fingerprint scanner, so we can assume the phone will have an in-display fingerprint scanner. 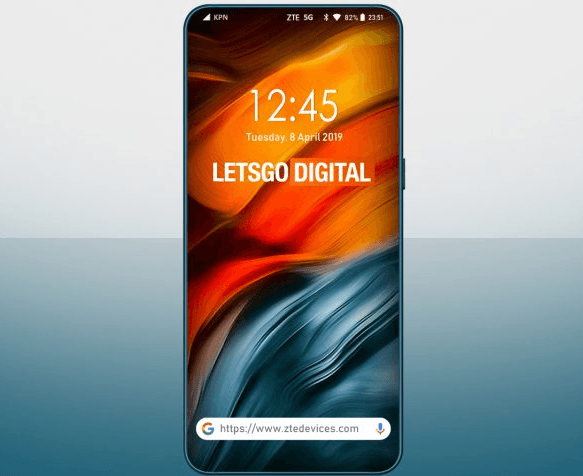 ZTE’s second patent also shows a full-screen phone, but with a small notch. This phone also shows a different camera setup featuring a dual-lens camera with a flash underneath. This phone appears similar to the Axon 9 Pro, which was showcased at IFA 2018. Further, the patent sketches show a fingerprint scanner on the back. On the top, there is a place for a 3.5 mm headphone jack and the microphone. On the bottom, there is space for the charger connector. Moreover, it is shown to have three buttons, two on the right and one on the other side. The phone in the patent does not appear to be a successor of the Axon 10 Pro, which was ZTE’s first 5G phone and was showcased only recently. ZTE’s Axon 10 Pro comes with a triple-lens camera, an in-display fingerprint scanner and a small water-drop notch. Since the phone in the second patent houses two camera lenses and has a fingerprint sensor on the back, it could be a mid-range phone for the Blade series. Does this Oppo Reno phone have a triple-lens camera? Another Chinese company that appears to be working on a unique camera setup is Oppo. LetsGoDigital spotted an Oppo patent filed with the WIPO’s Global Design Database last year. The patent sketches show two types of camera configurations with a decorative ring. A point to note is that the patent only shows the rear camera setup of the phone. One camera configuration shows four holes, while the other has three holes. In both configurations, one hole would presumably be for the flash. There is no information on the camera specifications, but a three-lens camera smartphone usually features one powerful main sensor, a wide-angle lens and a telephoto lens. Thus, this Oppo phone’s camera will likely be similar to those in other phones with triple-lens cameras. There are speculations that this triple-lens camera phone could belong to the Reno series, which the company plans to launch tomorrow in China and later this month in Europe. 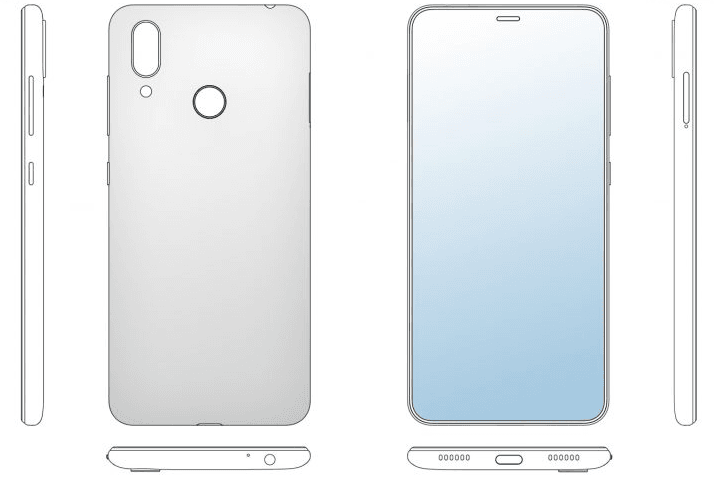 According to the renderings, it could be one of the premium Reno phones. Oppo currently doesn’t have any triple-lens camera phone. It did unveil a triple-lens camera phone at MWC 2019. It is expected to release the 10x Hybrid Zoom phone in the future. However, the camera system shown in the patent does not appear to have a zoom lens. Zoom technology typically uses a square-shaped lens, unlike the round shown in the patent.